SCUM may not even be in early access yet, but Twitch streamers have absolutely found something intriguing here. SCUM is set in a world where criminals fight to the death for the entertainment of a bloodthirsty audience. In each match, 64 “participants” are taken from a supermax prison and dropped into TEC1’s 144 square kilometer island and fight for their lives – and the gifts of sponsors. 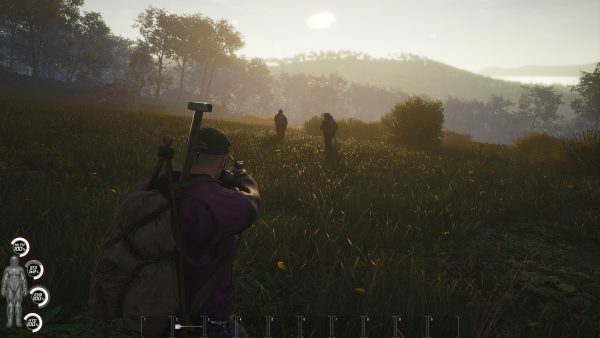 Unlike the Battle Royale competition, SCUM stands out in two areas. The first is pacing. There is no shrinking map to direct your focus, so players will spend lots of time wandering without encountering another soul. Second, SCUM leans heavily into the “simulation” side of survival sim. There are dozens of systems interacting with each other at all times, some of which may not be obvious to players. Metabolism systems determine whether you are thin, obese, or muscular. A wetness and drying system influences your body temperature. The game engine even accounts for movement inertia. SCUM’s streaming embargo just lifted this morning, so it’s possible streams will lower as time goes on. Still, since nobody is quite sure how even the Call of Duty Battle Royale mode will turn out, this might be one to watch. SCUM launches for Steam early access on August 29, 2018.